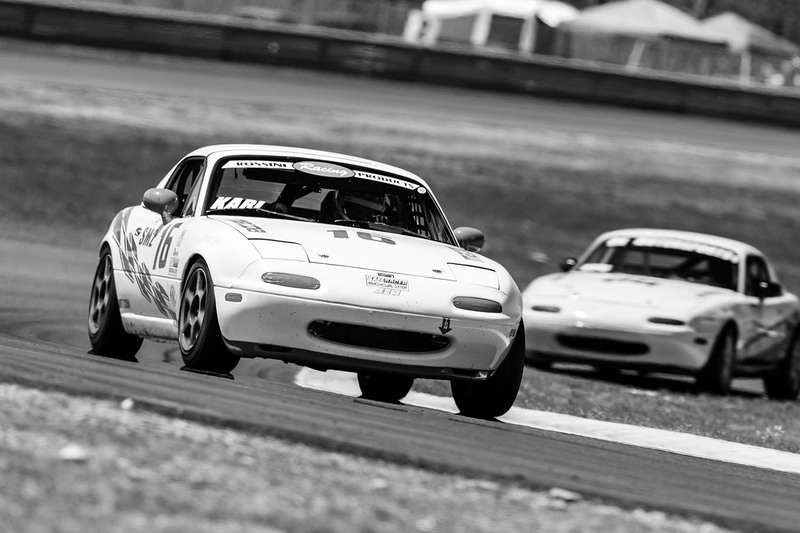 Evan practically grew up at the race track, watching his father, grandfather and uncle race Spec Miata since he was 5 years old. 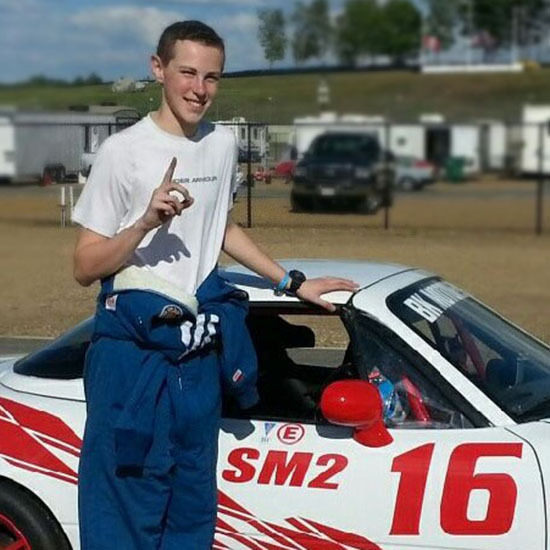 When he turned 11, he started to do Endurance Karting races and won 3 times at Lime Rock Park. From there Evan went on to race oval track karts in New York for 3 years, finishing in the top 3 for points all three years and winning the championship in 2014. 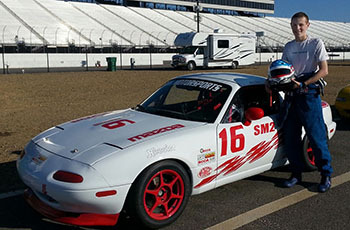 When Evan turned 15, he knew it was time to jump into a real race car and Spec Miata was the logical choice for him. 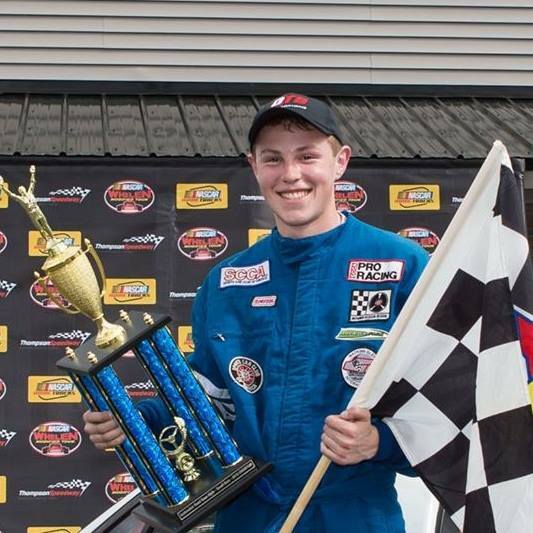 He spent the winter building a car with his father and grandfather and in the spring took his first school at NHIS � becoming the newest driver for BK Motorsports. Evan had a very successful rookie season. 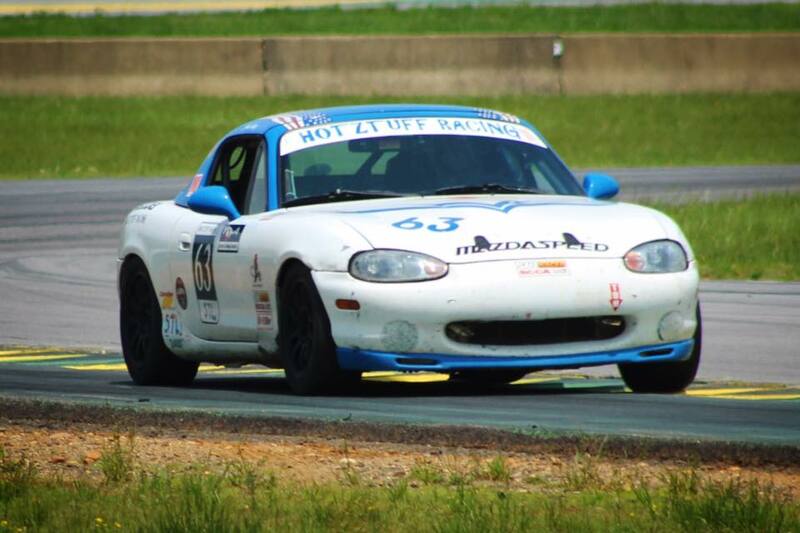 He posted his first win at Pocono Raceway, a second and third place finish at Thompson Speedway, and a second place finish at Palmer Motorsports Park. He received 2 �Rookie of the Year� honors as well as winning the Northeast Divisional Championship. 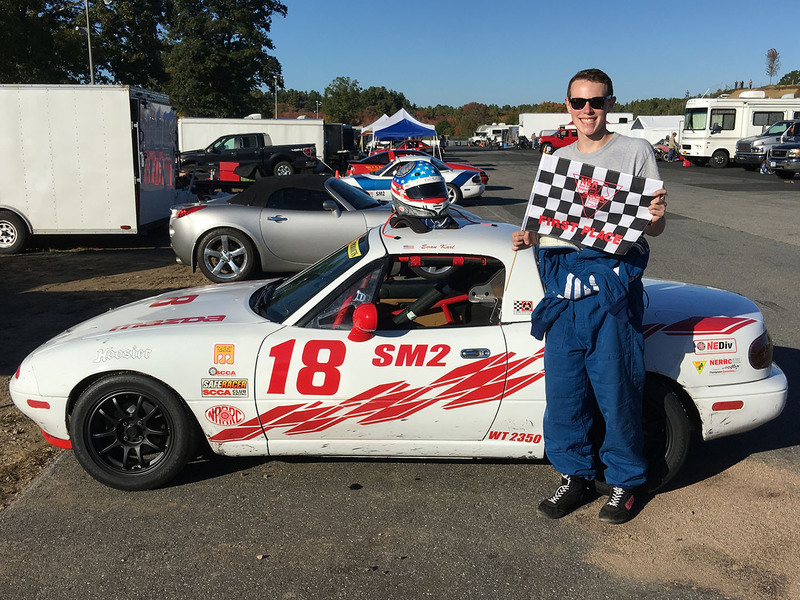 Outside of racing, Evan is a straight �A� student at Burnt Hills High School in NY and spends most of his free time either working on his race car, practicing on iRacing or playing soccer. 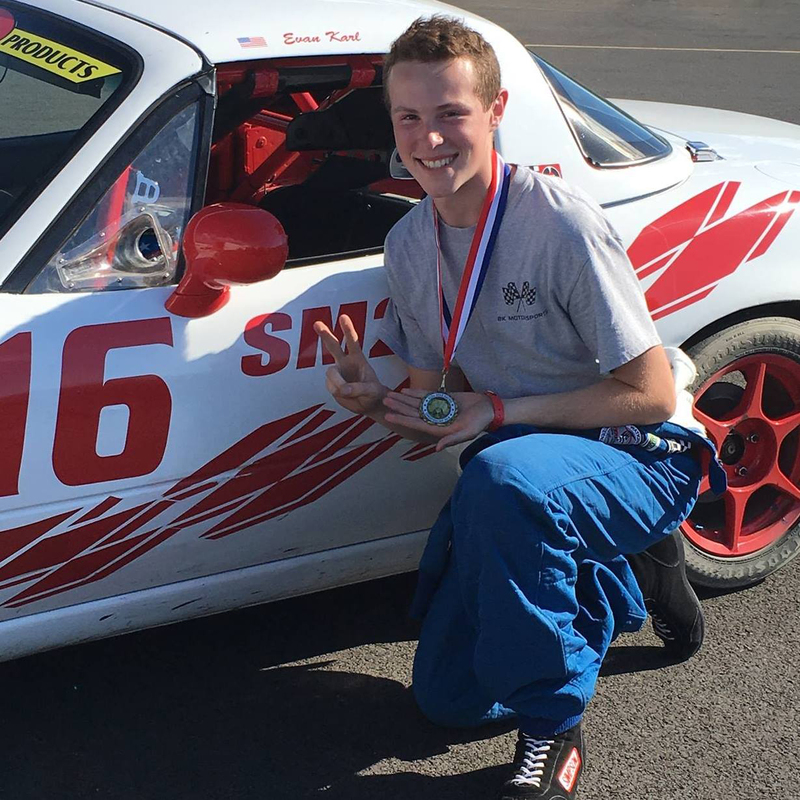 In 2017, Evan wants to attend a 4 year college to study Engineering with a concentration on Motorsports.